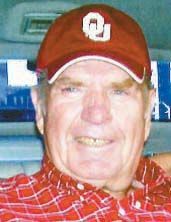 Elvin Eugene Allen, 85, of Hammon, Oklahoma was born on March 20, 1931 in Elk City, Oklahoma. He is the son of James Walter and Ella (Cleveland) Allen. Elvin passed away on Tuesday, March 29, 2016 in Hammon, Oklahoma. Elvin enjoyed watching his grandkids play sports, traveling, spending time hunting for arrowheads and playing dominoes. Most of all he enjoyed spending time with his family and friends. Elvin served his country in the United States Army. He returned home and spent many years as a farmer and a bricklayer. He was a member of the Hammon Church of Christ. Elvin married his best friend and sweetheart Wilma Jean Young on February 15, 1952 in Portales, New Mexico. Wilma Jean preceded him in death on March 22, 2005. Funeral services were held at 2:00 p.m., Saturday, April 2, 2016 at the AG Creach auditorium in Hammon, Oklahoma. Interment was held at Red Hill Cemetery in Hammon, Oklahoma. Services have been entrusted to the care of Martin-Dugger Funeral Home in Elk City, Oklahoma. Elvin is survived by two sons, Rex Allen and his wife, Terri of Hammon, Oklahoma, and Russell Allen and his wife, Susan of Edmond, Oklahoma; three daughters, Regina Landers and her husband, Larry of Hammon, Oklahoma, Robin Cates of Leedey, Oklahoma, and Rita Allen of Moore, Oklahoma and her fiancé, Kent Robinson of Carter, Oklahoma; nine grandchildren, Erin Brown and her husband, Will of Oklahoma City, Oklahoma, Larron Landers and his wife, Kelli of Weatherford, Oklahoma, Audrey Allen and Luke Allen both of Edmond, Oklahoma, Candace Cole and her husband, Byron, Trey Landers and his wife, Traci, Chelsea Hughes and her husband, Daniel, Jordan Allen, and Cade Allen all of Hammon, Oklahoma; and eleven great-grandchildren. He is preceded in death by his wife, Wilma Jean Allen; parents, James and Ella Allen; five brothers, Tommie, Dooly, Oran, Raymond, and Leroy; and four sisters, Rachel, Lucille, Juanita, and Wilma. Memorials can be made to Tipton Children’s Home or Hammon Senior Citizens in care of Martin- Dugger Funeral Home, 600 W. Country Club Blvd, Elk City, Oklahoma 73644.